50 meters one roll,the size is 150*25*25cm/roll.the GW is about 28kg per roll. 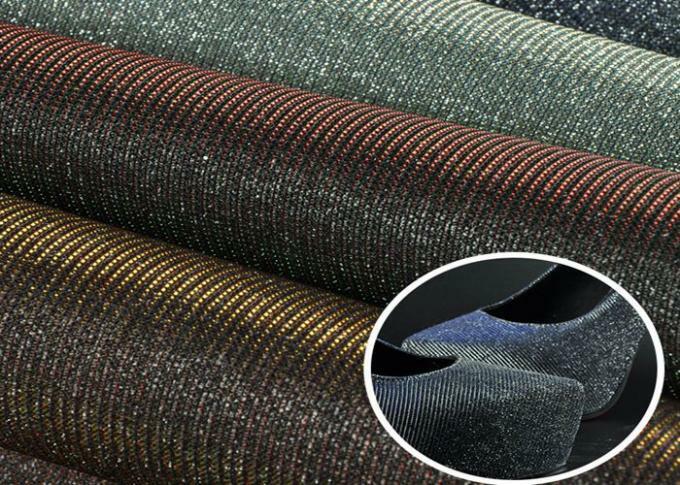 This glitter mesh fabric is perfect for women shoes, baby shoes, pump shoes, purse, hair bows, and phone case,wall decoration and so on. We have a professional team for your service, and hope to establish long-term relations of cooperation. 3. Packing: 50 meters one roll,the size is 150*25*25cm/roll.the GW is about 28kg per roll. 7. Advantage: No glitter fallen off. the glitter is very strong. 8. Delivery time: 15 days more or less after received the deposit. Suitable for shoes ,bags,hair bows,walls, pelmets , cushions & diy crafts. 30% T/T deposit in advance ,the balance be paid before shipping . 6P report,EN 71-Part 3 passed. It's pu glitter mesh fabric,which has good quality with low price. 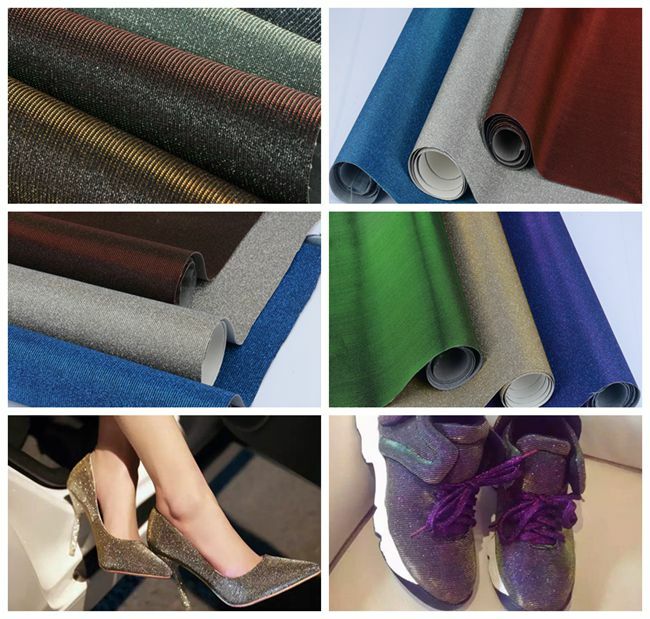 It can be widly used for wallpaper,craft, shoes,bags and decoration .Also,our product have all the colors you want and satisfying price. it is very fashionable as its pattern. We could offer one-stop service,Our company was founded in 2005 year,With 12 years experience, we have enough understanding of produce , We have a professional team for your service, and hope to establish long-term relations of cooperation. A:Our factory is located in Dongyang City, Jinhua, Zhejiang, China (Mainland), which is not far away from Yiwu.All our clients, from home or abroad, are warmly welcome to visit us! A:Quality is priority. DERUN people always attach great importance to quality controlling from the very beginning to the end. Q: Why different batches of goods come in different colors? 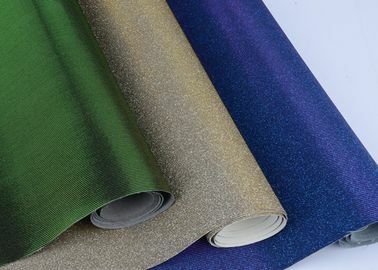 A:This product is made of glitter powder, glitter powder is characterized by rich colors, but due to the characteristics,difficult in color mixing.But we would surely chromatic aberration control in a small range. Q: Is your price lowest? A: We do not promise you that we offer the lowest price on the market, but our cost-effective is best.we can provide the best service. Q:Can you firstly send samples to me? A:We can provide free sample cards, sample more than 30 cm will be charged.And customers need to pay the freight.thank you.